Denham the Jeanmaker was founded in Amsterdam in 2008 by Jason Denham, an English jean maker with an obsession for premium quality denim. 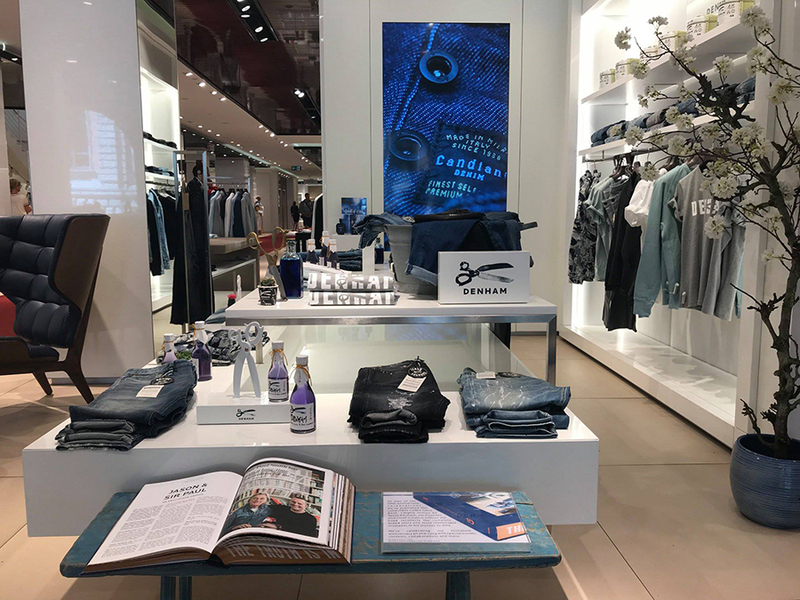 The brand offers a full range of collections for men and women including outerwear, tops, bottoms, accessories and — of course — denim. Denham’s Amsterdam roots have remained a key element in its signature aesthetic, brand identity and inspirations. In addition to its headquarters and design studio on the Prinsengracht canal, it has opened a unique cluster of stores and denim bars in the “9 Streets” neighbourhood. Their shop in the city center is a concept shop whit “coffee corner” that showcases the Jason Denham Collection of premium wardrobe essentials.